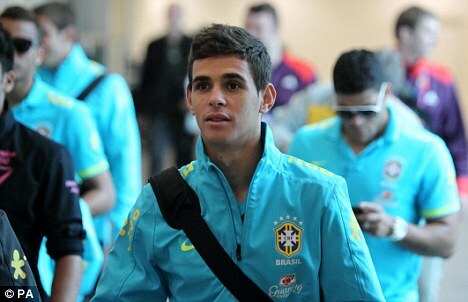 A rumoured £20 million is the fee that Roman Abramovich’s bank account has forked out for Brazilian sensation Oscar. But will it be value for money for Chelsea, and first of all, who even is he? Oscar dos Santos Emboaba Junior is a 20-year-old attacking midfielder and winger who previously played for Internacionale. He joined them in controversial circumstances from Sao Paulo as Oscar’s agent disputed that his client had not been paid the correct salary and therefore the contract was null and void so Oscar was able to join Internacionale as a free agent – and what a coup that was. Oscar has been prolific at youth international level as he hit the first ever hat-trick in the FIFA Under 20 World Cup final as his Brazil side beat Portugal in 2011. The youngster was called up to the Brazilian senior side as a replacement for the injured Ganso, and found himself coming on as a substitute against Argentina. He grabbed his first international goal in a 4-3 loss to the Argentines as he became a more regular fixture in the side due to Ganso’s injury. Oscar starred last night as Brazil won their Olympic opener against Egypt. He created the opening two goals which led his manager, Mano Menezes to heavily praise the 20-year-old. He said: “It is clear that Oscar is a very influential player. He set up a lot of moves and chances for us and I don’t want to publicise it too much as our opposition will know about him.